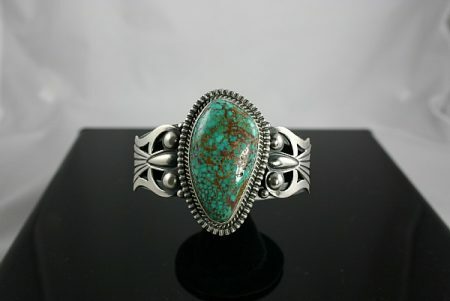 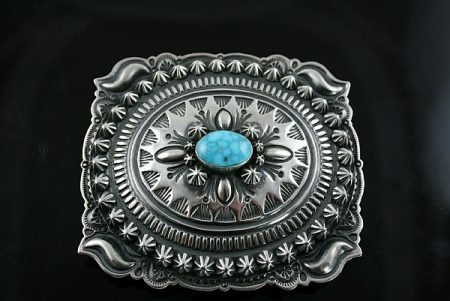 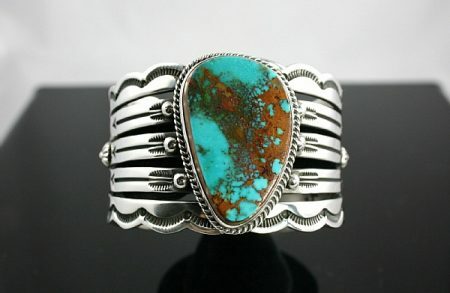 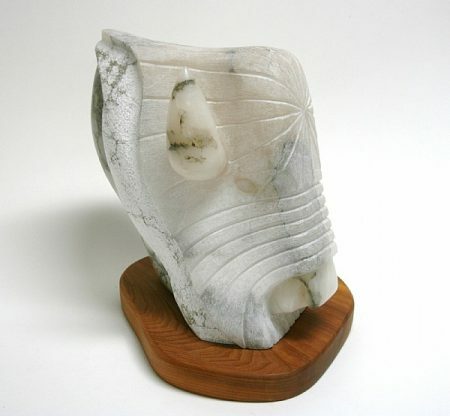 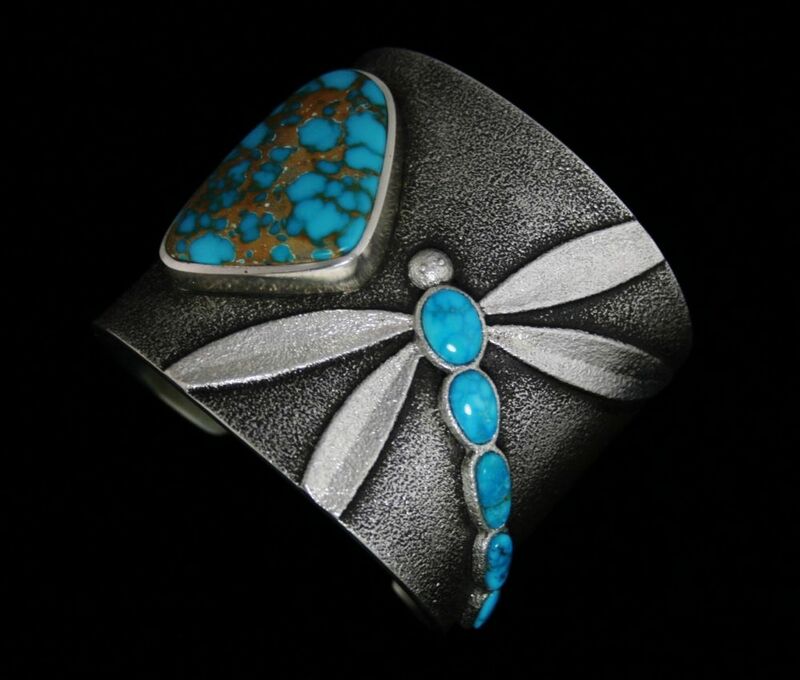 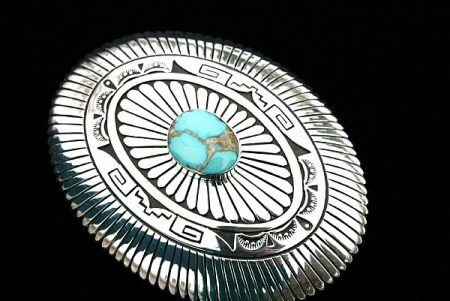 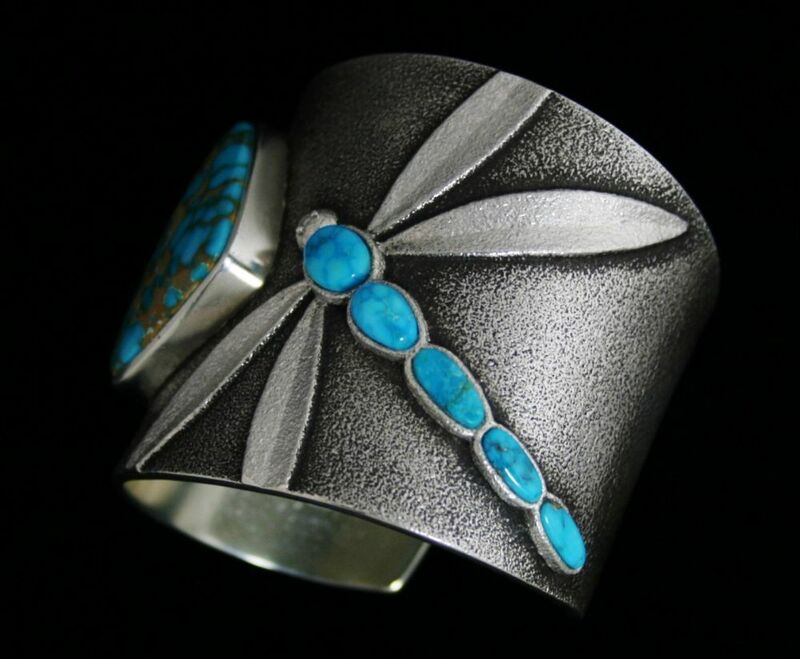 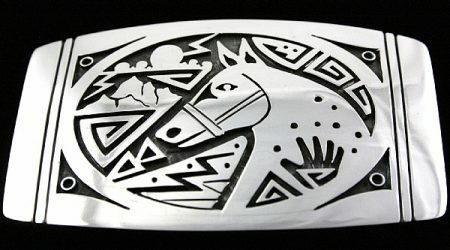 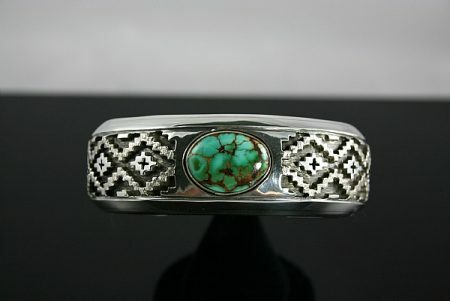 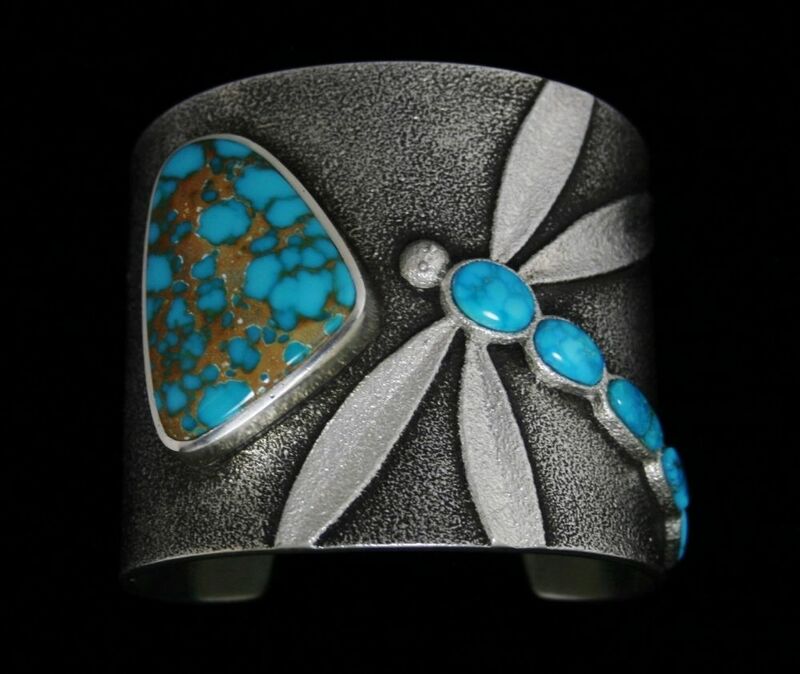 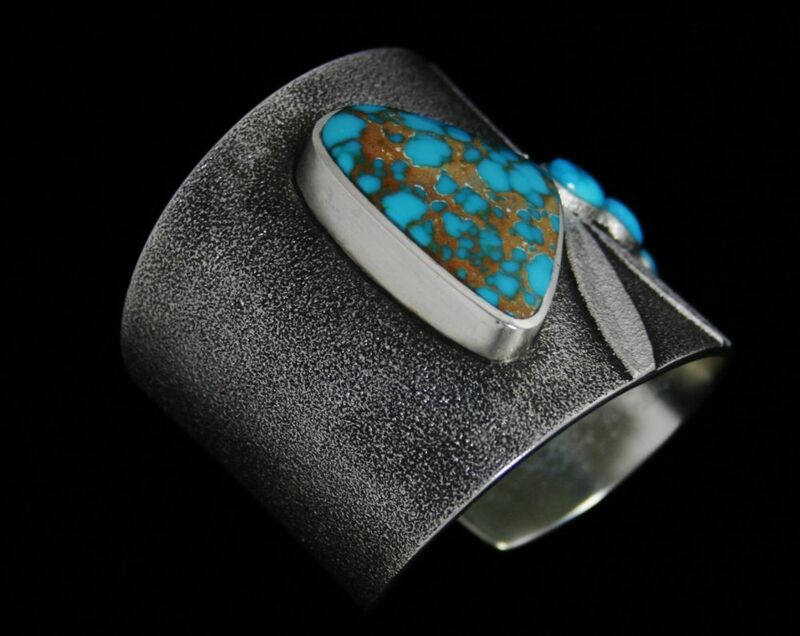 This wide handsome cuff by Darryl Begay was created by precision carving the splendid dragonfly in tufa stone and pouring molten silver into the mold. 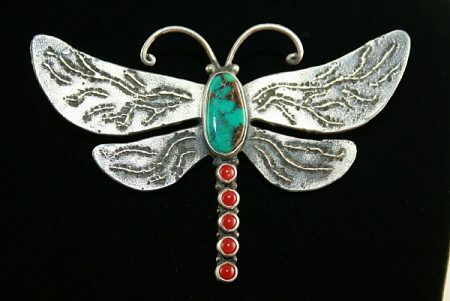 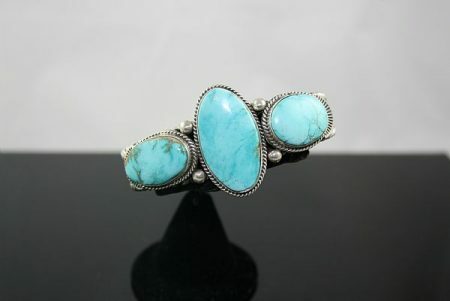 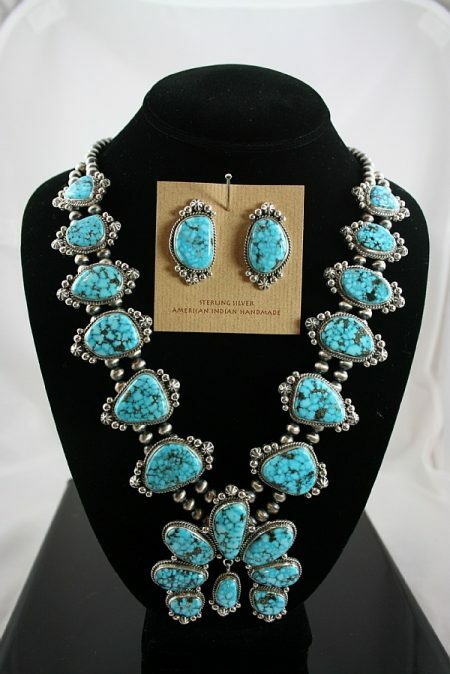 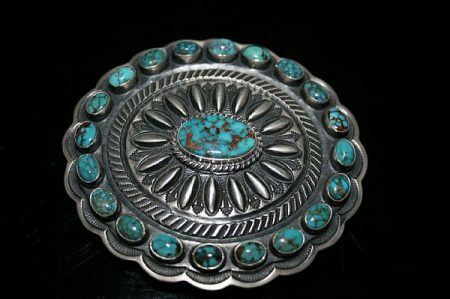 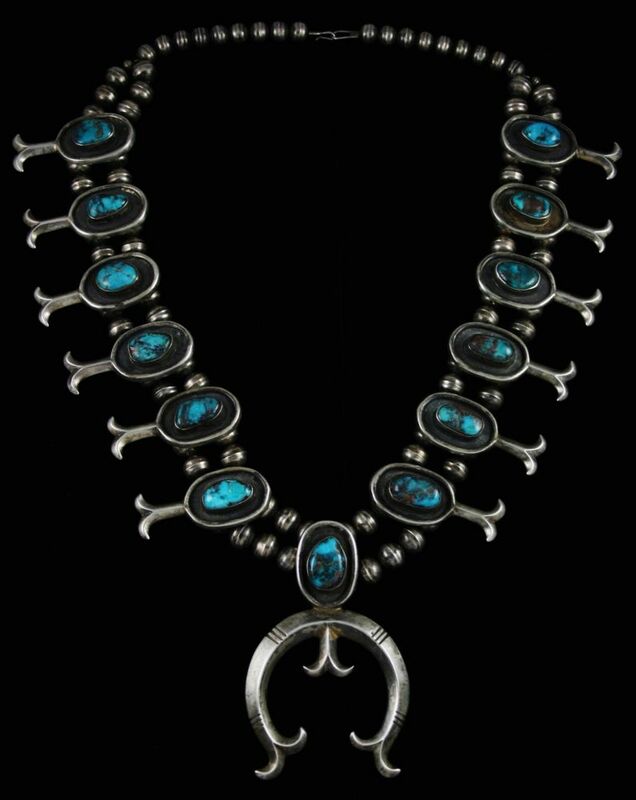 Five gorgeous natural Morenci turquoise gems were set in the body of the fly into hand made bezels. 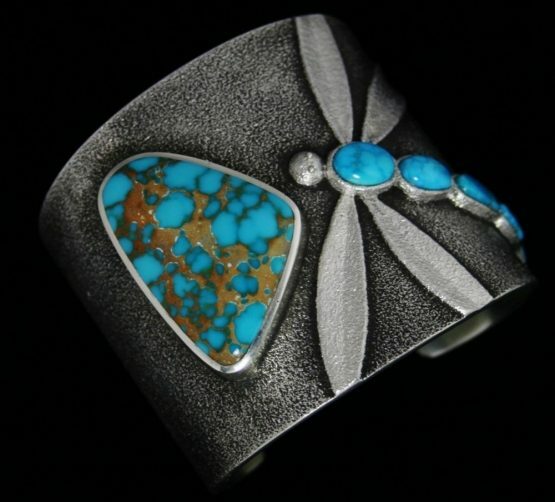 The cabochons are vibrant sky blue with light waterwebbing. 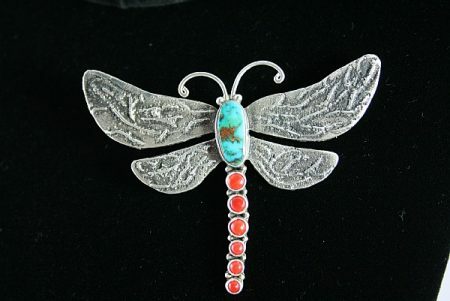 A large and magnificent Brannon Blue cabochon is offset to the left of the fly. 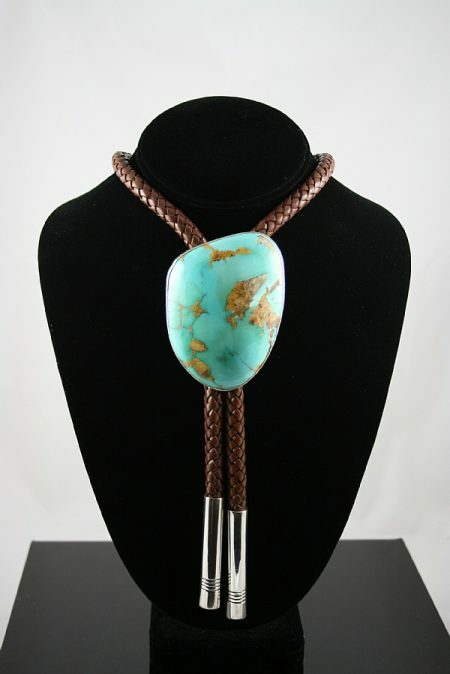 The natural cabochon is deep sky blue with electric reddish golden brown spiderweb matrix. 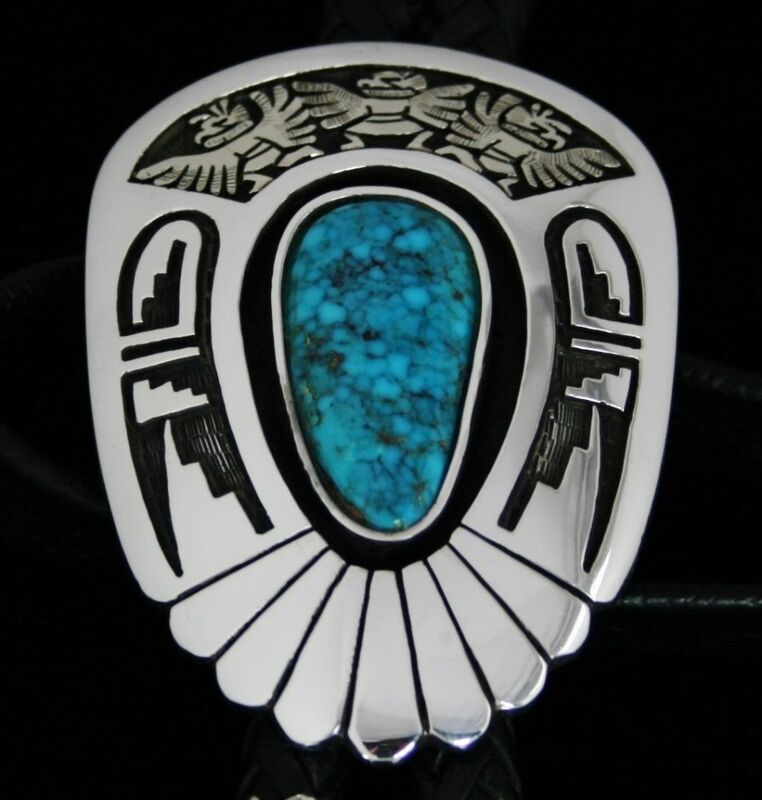 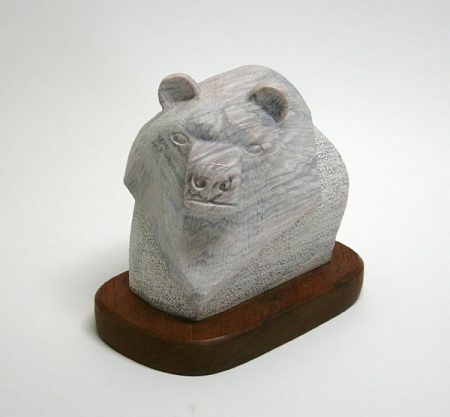 This is the highest grade produced at the Brannon Blue claim found in the foot hills of the Pilot Mountains of north central Nevada. 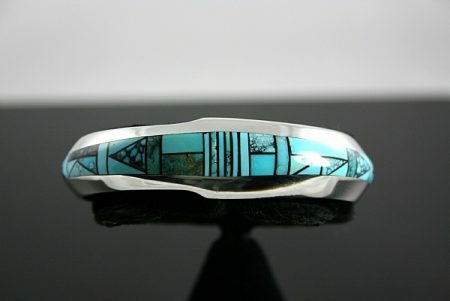 The large gem is set in Darryl’s signature thick hand made bezel. 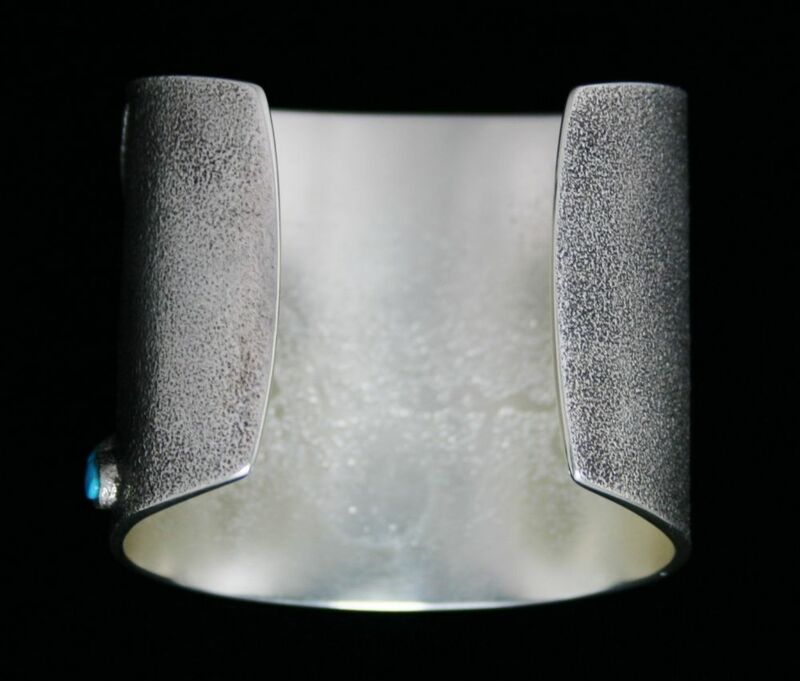 Undoubtedly one of his finest creations, the bracelet is finished using his proprietary multi phase process designed to brighten the sheen of the shank.